As I continue exploring other creations through leatherworking, I decided to design another leather bag to study how each side of a rectangular leather bag can be brought together through stitching. 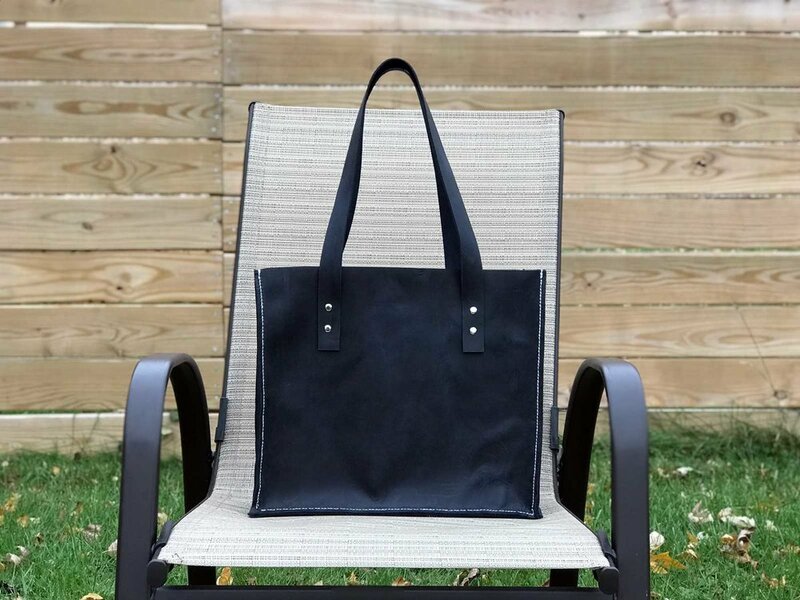 Through this project, my hope was to continue practicing my stitching techniques and to use additional tools to apply other items such as rivets to the bag. 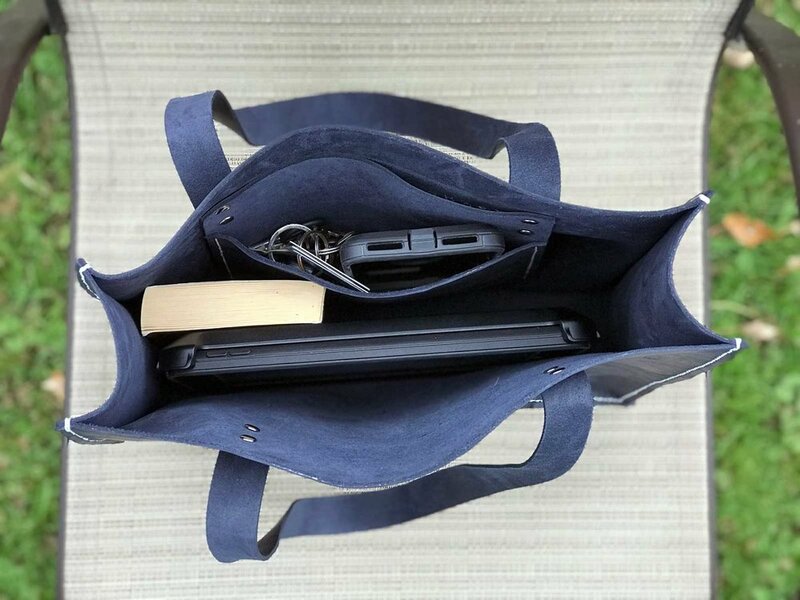 For the midnight leather bag, I decided to use a waxed finished midnight blue leather that appears black in shade and a dark blue in sunlight. The wax creates variations in tones across the leather surface. Paired with a bright white waxed thread, the contrasting composition creates an object that catches one’s attention from a glimpse to a long stare. After cutting all of the various sides of the leather bag and the large interior pocket, I punched holes through the leather and started the process of stitching the interior pocket. Then, I attached the handles and pocket to the larger sides of the leather bag using nickel plated rivets. Lastly, I stitched each side of the bag starting at the top so that the edge would be perfectly aligned. Ultimately, the leather bag turned out to be a beautiful item and the contrasting white stitching created a focal piece that is elegantly designed. Designing and constructing this prototype took a full weekend of sketching, cutting, and stitching with some errors along the way. This was definitely a learning process for me and I’m excited to continue exploring more designs in leather in addition to my architecture projects!